I had originally identified these geckos as Hemidactylus mabouia, based on the skimpy information about Madagascar Hemidactylus in the 2nd edition of the authoritative Madagascar herps field guide of Glaw & Vences. But by the 3rd edition, further study had concluded that the Madagascar geckos formerly thought to be H. mabouia were this species instead. 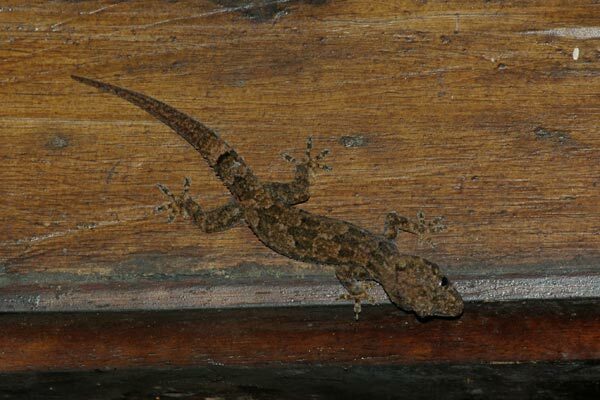 These ones were sharing the lodge grounds with at least one other nocturnal gecko species, Gehyra mutilata. Here is a list of all the reptiles and frogs I saw on this trip to Madagascar.